We recently hosted a workshop for organisations in Stockport who are interested in the digital skills agenda – supporting people to get online and improve their skills so that every citizen is fully able to participate, through digital means, in the connections, networks, services, activities and information they need. The workshop was held on Wednesday 21 June 2017 in the Hat Works Museum. Over 40 people attended representing the council, local businesses, public sector, community and voluntary sector organisations, schools and colleges. There was a huge amount of energy and enthusiasm in the room despite it being not only the hottest day of the year, but the hottest day for 40 years! 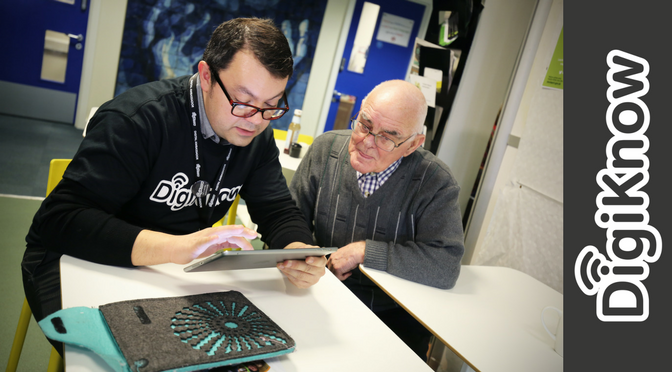 The workshop explored the idea of setting up a Digital Inclusion Alliance so that we can pool our collective resources and make a real difference to improving people’s digital skills and providing access to information and communication technology. Some of the key benefits identified are that through collaborating we can reduce duplication, give more focus to what we do, have a bigger impact by reaching more people. Participants have gone away to consider how we might take this further and to develop some ideas for the group to explore in a follow up conversation next month. If you would like to be part of this conversation please email janet.wood@stockport.gov.uk and lee.emery@stockport.gov.uk. To introduce my digital training business may I suggest reviewing my website and if it meets your criteria, then I would be very happy to join the conversation and contribute to the development of digital skills in Stockport particularly for those needing a less formal approach to education particularly the elderley and vulnerable in my home town. Thank you Geoff for your offer, we are keen to hear from any organisation who wishes to collaborate to address digital inclusion. Janet is out of the office at the moment but will be in touch on her return.